Betty A. Raglin is an attorney practicing in the areas of Taxation, Estate Planning, Elder Law, Estate Administration, Trust Law, Business Planning, and Civil Litigation. Betty is Board Certified by the Louisiana Board of Legal Specialization in the areas of Tax Law and Estate Planning and Administration. Betty graduated from Lamar University with a Bachelor in Business Administration and then attended Louisiana State University’s Paul M. Hebert Law Center where she graduated with her law degree in 2001. In 2002, Betty received her Master of Laws in Taxation from Southern Methodist University. 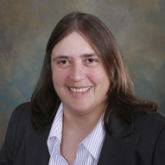 She is a Fellow of the American College of Trust and Estate Counsel, and a co-author, beginning with 2010-2011 Supplement, of “Estate Planning in Louisiana” (Thomson West, 1991). A natural speaker, Betty has presented on behalf of the law schools of Louisiana State University, Loyola University New Orleans, Southern University, and Tulane University. In addition, she is an active member of the National Academy of Elder Law Attorneys, Chair of the Estate Planning Advisory Committee of the Louisiana Board of Legal Specialization, and former President of the Southwest Louisiana Bar Association. Legacy Estate & Elder Law of Louisiana, LLC is a law firm that serves the Baton Rouge and surrounding parishes. Our practice focuses on elder law, estate planning, estate administration upon death, government benefits (VA and Medicaid) planning and special needs planning. The mission of Legacy Estate & Elder Law, LLC is to help Louisiana families have a lasting legacy - a legacy beyond the mere transmission of material wealth. We accomplish our mission by guiding our clients through the legal maze of will and trust law, Medicaid planning, VA benefits, estate tax law, and probate law. But, we do much more than that. We also share the concerns and burdens of our Elder Law clients who are caring for a loved one, counsel our estate planning clients in ways to preserve the harmony that is easily lost upon the disability or death of a loved one. In short, we strive to treat our clients in the same manner we would like to be treated.